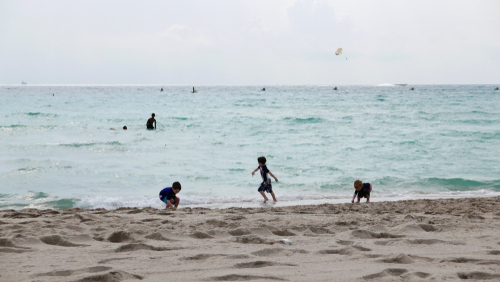 Mention a trip to Miami and “kid friendly” may not be the first phrase that comes to mind. 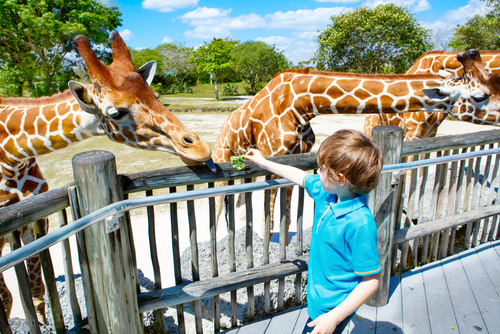 However, for traveling families, this Florida city is the perfect place to experience culture, wildlife, and ways to beat the heat that children both big and small will enjoy. New to Miami and need a lay of the land? 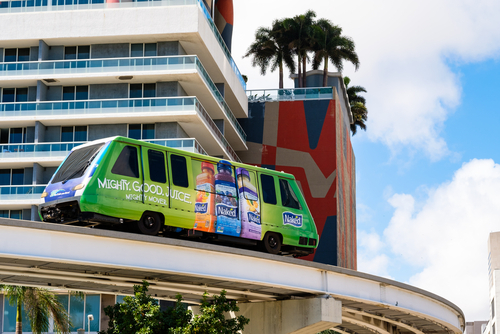 Hop on the Metromover and experience a full tour of the city center — for free! This driverless electric bus has three separate tracks that loop around downtown Miami. Conveniently, cars arrive every 10-15 minutes. Use the Metromover to take your family to and from destinations, or simply enjoy it for the views it has to offer. At the very least, it’s the perfect alternative to braving the afternoon heat or sitting in Miami traffic, especially with little ones in tow. Bayside Marketplace is a waterfront mall where visitors can dine, shop, and book Miami excursions. Located in the heart of downtown Miami, this is a hot spot for tourists to become acquainted with the city. Take a stroll with the family while enjoying live music on the waterfront. 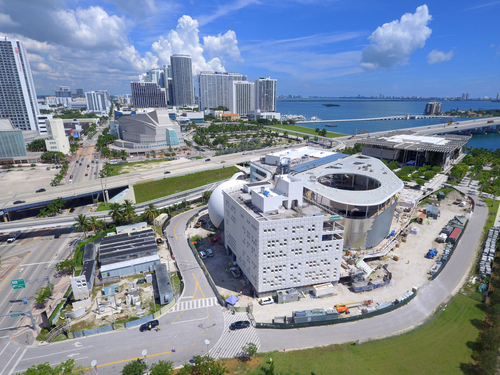 Escape the Miami sun, and enjoy a few hours at the Miami Children’s Museum. The museum is home to several hands-on exhibits that your family will find fun and educational. Memorable exhibits include a two-story sand castle, a “cruise ship” kids can learn to navigate, and even a rock wall to climb. 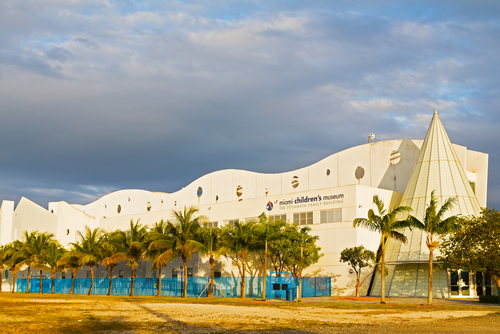 Considered one of the best museums in Miami, the Children’s Museum is sure to be a highlight of your family’s vacation. General admission tickets are $20, and children under one are admitted free. Teach your children about Miami’s rich Cuban culture in the Little Havana neighborhood. 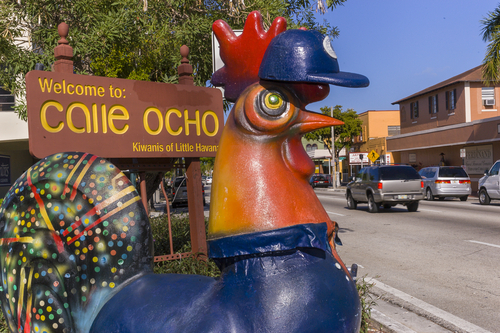 Spend an afternoon on Calle Ocho, and experience authentic Cuban cuisine and colorful street art. It’s known for its tiled floors and fun atmosphere. Kids will get a kick out of visiting Maximo Gomez Park, a hot spot for retirees with a passion for dominoes. No visit to Little Havana is complete without a Cuban coffee for parents and a stop at the famous Azucar Ice Cream company for the kids. Keep in mind, this area can be extremely busy and is best experienced during the day. Due to the parks large footprint, many guests recommend renting bikes. Admission for children aged 3-12 is $18.95, adult tickets are priced at $22.95, and children under two are free. 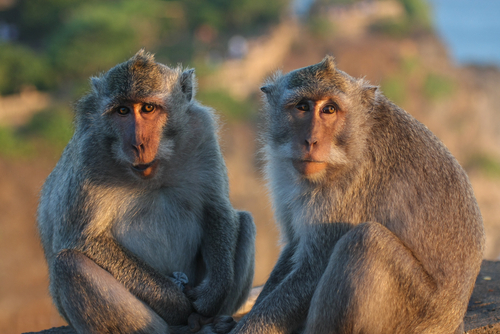 In 1933, animal behaviorist Joseph DuMond released six Java monkeys in what is now known as Monkey Jungle. 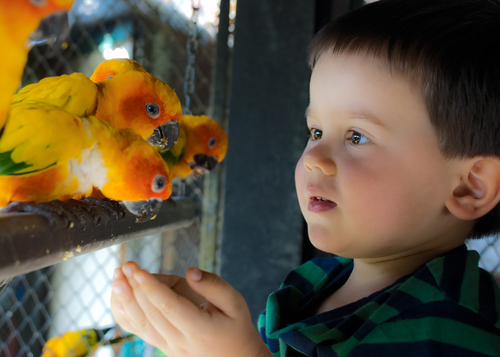 Open all year round, this wildlife park is unlike any “zoo” your family has experienced before. With over 300 animals in residence, the park boasts several different species of primates monkeying around in their natural habitat. For a more one-on-one experience, the Rainforest Adventure Tour is available by reservation. For $89.95 per guest, this intimate tour includes park admission and food for the monkeys. General admission is $29.95 for adults and $23.95 for children ages three and up. 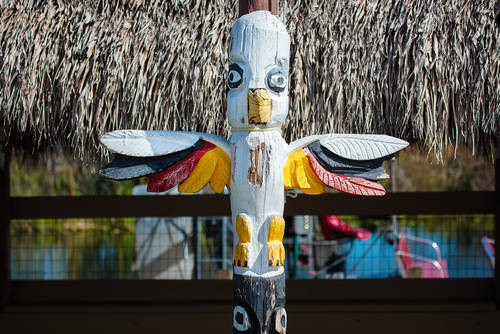 Enjoy a day of culture at the Miccosukee Indian Village. Located in the Everglades, this active Native American village offers a first-hand look into Miccosukee tribal traditions. Take a guided tour of the grounds, check out the artifacts and art in the village museum, and eat traditional Miccosukee cuisine (pumpkin bread and frog legs, anyone?). A must do on this excursion? The airboat tour which will take you and your family through a traditional Indian hammock camp along the Everglades. 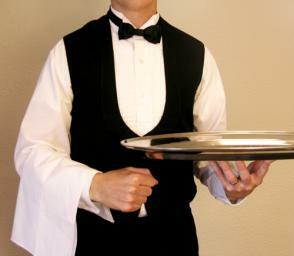 Reservations are recommended and can be made here. Just outside of downtown Miami visitors will find the art district of Wynwood. Wynwood is home to the picturesque, open-air art gallery known as the Wynwood Walls. Artists from around the world have visited this neighborhood to leave their mark on the walls. Not only will your family enjoy seeing the giant murals adorning the Wynwood Walls, they’ll also enjoy the surrounding neighborhood shops and restaurants. 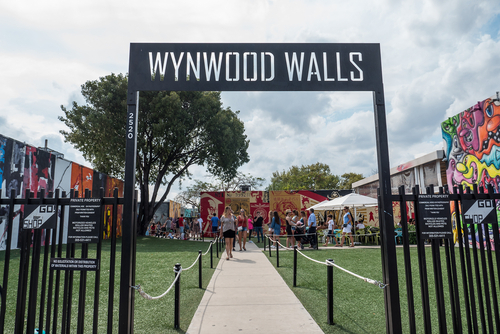 If you happen to find yourself in Miami on the second Saturday of the month, you and your family can participate in the complimentary Wynwood Art Walk and enjoy local food trucks, live music, and (you guessed it) art. Visit an interactive museum that the whole family can enjoy! The Gold Coast Railroad Museum, located in South Miami, has over 40 historic train cars for public viewing. Plan on visiting the museum on a weekend when you can take a ride on one the museum’s running locomotives! 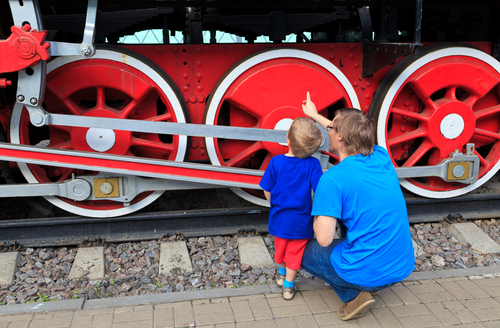 For $6 per rider, this 25-minute train ride is sure to be an experience you and your children will always remember. You don’t need to be a scientist to enjoy the Patricia and Phillip Frost Museum of Science. With an in-house aquarium and planeterium, this museum is sure to spark the interests of the whole family. One of the coolest experiences of the musuem? The Inventors in Residence Lab! This exhibition gives visitors an opportunity to check out real-life inventions in progress and learn about the inventors responsible for them. The museum is open 365 days. Grab your discounted tickets here. 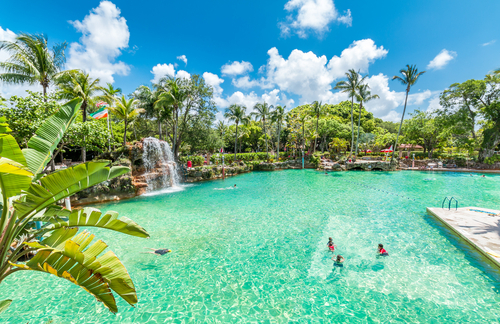 For a way to stay cool off the beach, take the family for a day at the Venetian Pool located in City of Coral Gables. Built from a coral rock quarry in the 1920s, this unique pool has an underground aquifer that feeds in natural spring water, two waterfalls, and even caves that can be explored. A few things to keep in mind: this pool is one of the most popular tourist destinations in Miami, which means it may be very crowded when you visit. Once the pool reaches maximum capacity, no more tickets will be sold. Children must also be over 3 years of age to attend. 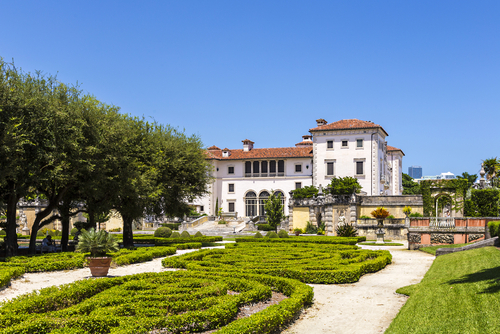 Another must do in the Coral Gables community is the Fairchild Tropical Botanic Gardens. Take the tram tour around the grounds or make your own walking tour and be transported into the tropics with their extensive collection of palms, orchids, and other plant life. Be sure to make time for the Wings of Tropic exhibit, which is home to hundreds of different kinds of butterflies. The garden is open everyday from 9:30 a.m. to 4:30 p.m. Admission is $25 for adults, $12 for children 6-17, and free for children under the age of 5. For a truly authentic local experience, swing by Miami’s own Robert is Here. 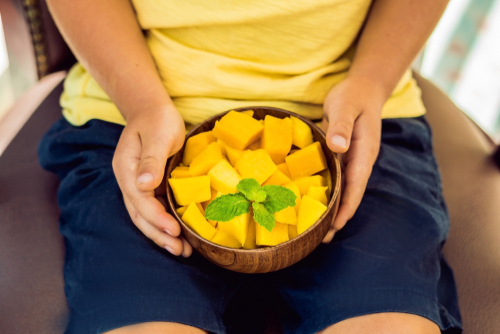 This world-famous fruit stand has been around since 1959 and is the perfect place to enjoy exotic, tropical fruits that you most likely have never experienced before. Enjoy a fresh fruit milkshake (visitors recommend the KeyLime Pie) while you check out the onsite animal farm and enjoy live music. 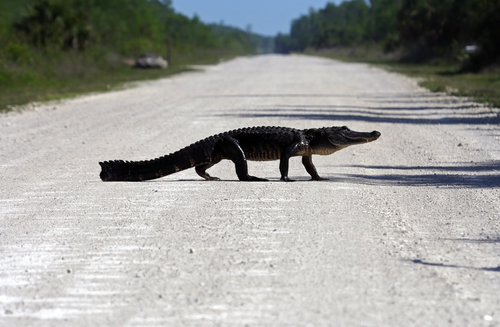 Take a hike through Florida’s Big Cypress National Preserve for a free experience that will get you up close and personal with wildlife. Kayak, bike, or walk along the park’s scenic routes and you might just spot a manatee, alligator, or even a Florida panther! The farm is open to all ages and ear protection is provided on all airboat tours. 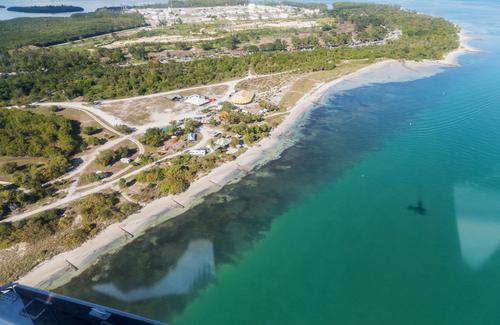 Assuming a visit to the beach is at the top of your Miami to-do list, Mattheson Hammock Park is the perfect place to spend an afternoon with the family. This beach is ideal for families of all ages because it is actually an enclosed man-made tidal pool with shallow water that is always calm. 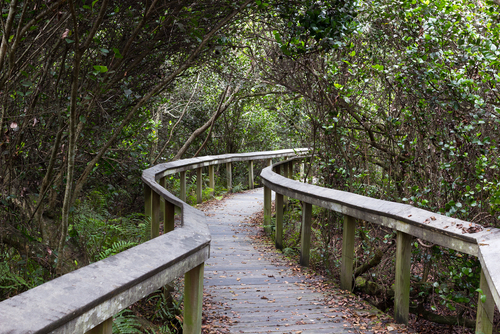 Rent a kayak, enjoy lunch at one of the nearby restaurants, and spend time walking the surrounding nature trails. 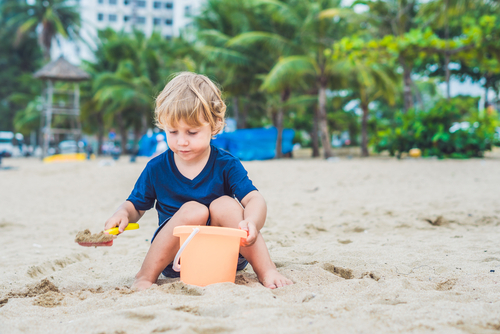 We assure you, the Mattheson Park and Beach will become a family favorite. Another family friendly beach spot, consistently rated one of the top beaches in the country, is the Crandon Park Beach. 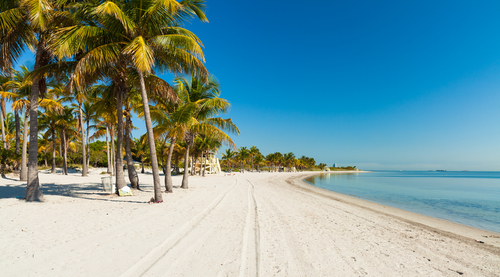 Off of Key Biscayne, this two-mile beach is a local favorite for a reason. The calm waters and white sand make for a picture-perfect afternoon, while the park amenities guarantee fun for the entire family. Water sport rentals, volleyball courts, and beach cabanas (which include a shower and parking space) are a few perks of this park. There are also a near-by golf course and nature walks to the surrounding dunes and mangroves. After you’ve hit the Alligator Farm, take the family for another adventure in the Everglades National Park at Shark Valley. 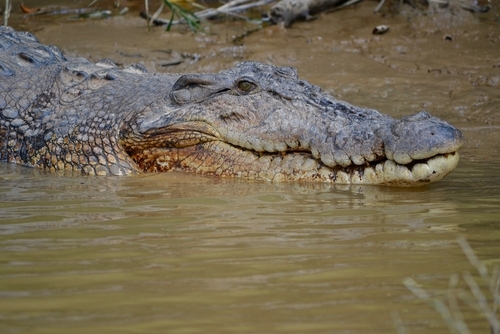 Spoiler alert: there aren’t any sharks here — but there sure are a lot of gators! Book a two-hour tram tour or rent bikes for an even more memorable (and close-up) experience. Children’s bikes are available for rent, as well as child seats for children under 35 pounds. A few things to keep in mind: the full bike trail is 15-miles long, but visitors say the experience is worth every mile. There are also no lunch options available on site. The National Park reminds visitors that due to the remoteness of Shark Valley’s location, it’s important to secure transportation to and from the site. 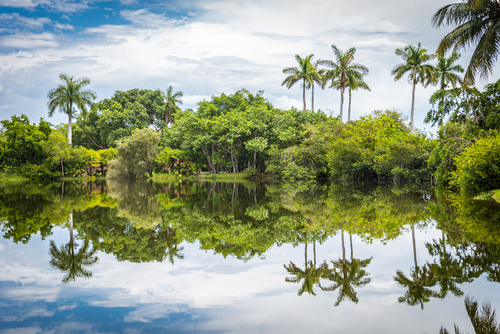 Just a few miles from Downtown Miami you’ll find Biscayne, a National Park that is 95% water. This park offers activities for the whole family. Shipwreck tours, fishing, and snorkeling through coral reefs are all options at this popular tourist destination. Take the kids to Dante Fascell Visitor Center to learn more about Biscayne through the museum and exhibits. For a full list of possible activities, and the reputable companies that offer them, check out the official website. 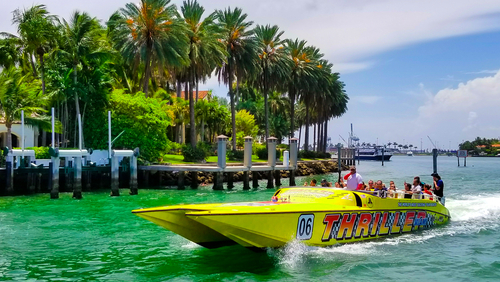 If you have children over three years of age, the Thriller Miami Speedboat excursion is an adventure that you can’t pass up. This 45-minute tour on a high-speed catamaran takes passengers through the waters of downtown Miami, hitting locations such as Millionaire Row, the port of Miami, and South Beach. Experience downtown Miami in a unique, memorable, and exciting way. Tickets are $38 for adults and $24 for children aged 3 – 11. Buy tickets online or at the departing dock in Bayside Marketplace. 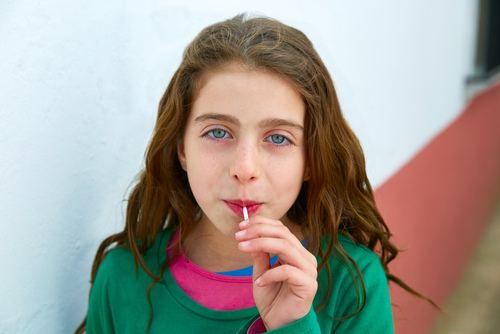 Give your children an unforgettable Miami experience at a candy making class at Spun Candy. This unique candy shop, which originated in London, is not only a great place to pick up delicious souvenirs, but also offers a way for the whole family to learn something new. There are several different options available for classes, including classes specifically for children. Each class teaches the science behind the art, choosing flavors, a lollipop making demonstration, and goodies to take home! Prices vary and are available on their website. Children must be at least six years of age to participate in classes. If you’re looking for an interactive animal experience for your family, Safari Edventure is the wildlife park you are looking for. This 5-acre park is an educational facility that specializes in the rehabilitation and rescue of over 100 different species of animals. Because it’s a smaller establishment, Safari Edventure guests are able to get up close and personal with animals such as wolves, sloths, and of course, alligators! A daily ‘membership’ to Safari Edventure is $18 for adults, $15 for children and seniors, and free for children three and under. Visiting Miami during baseball season? Take the kids to a game at Marlins Park. 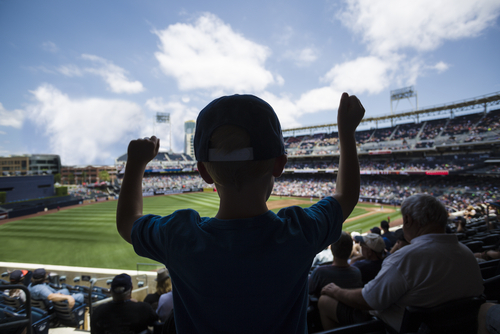 Considered one of the most unique baseball stadiums in the country, you and your family will have a good time whether you are baseball fans or not. Make visiting the Taste of Miami section a priority and enjoy some local cuisine while you watch the game. Kids will enjoy seeing the famous carnival-inspired Homerun sculpture, a bobblehead museum, and the fish tank behind home plate, while parents will appreciate the Clevelander Club where they can even take a dip in the park’s pool. Double check if it is fireworks night, and be sure to stick around after the game. 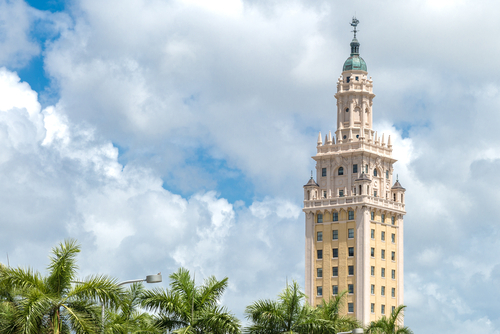 Learn more about the rich history of Miami by visiting the Freedom Tower. Dubbed the “Ellis Island of the South”, this Miami landmark was the reception center for Cuban refugees during the Cold War. The building, which was once a newsroom, now features an exhibit about the Cuban Exile Experience. Located near Little Havana, it is the perfect landmark during a day of sightseeing. 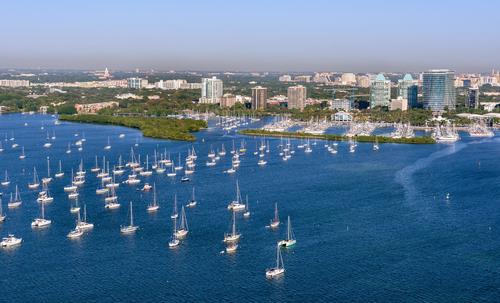 For an oasis within the city, bring the family to Coconut Grove. Located along Biscayne Bay, this tree-lined vintage neighborhood is the perfect place to enjoy a relaxing afternoon with kids. 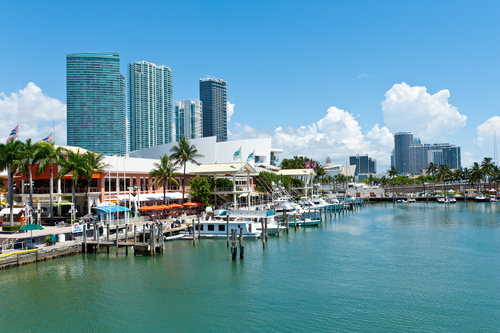 Do a little shopping, grab lunch at one of the many local restaurants, and take an historical walking tour through this famous Miami area. Another great beach off of Key Biscayne is Bill Baggs Cape Florida State Park. 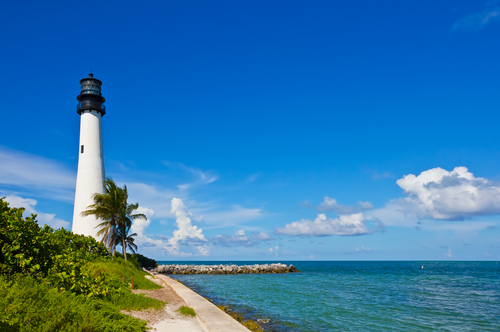 Located at the very tip of the key, this park is famous for being the home of the Cape Florida Lighthouse, the county’s oldest standing structure. For a view that the whole family will appreciate, take one of the lighthouse tours offered between 10 a.m and 1 p.m, Thursday through Monday. Bill Baggs is also a great location for kayaking, picnicking, and of course, enjoying that Miami sun. For an adventure within itself, bring the family to Jungle Island. This wildlife park has a little something for everybody. Animal shows and interactions with the resident lemurs are the highlight of this experience, but your kids will also enjoy the onsite zipline and escape room. 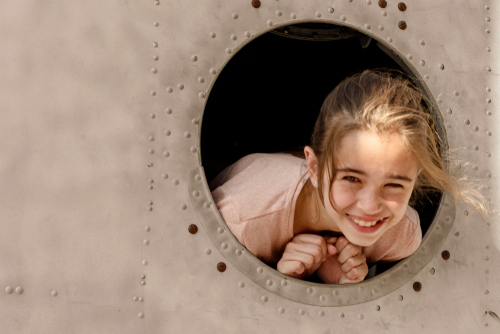 Home to a variety of historic exhibits ranging from an Aviation collection to Seminole artifacts, HistoryMiami is a great family-friendly museum option. 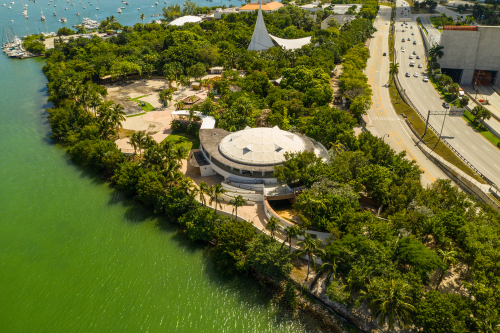 This Smithsonian-affiliated museum is considered one of the best in the country, and is the ideal place to learn about the colorful history of Miami and Florida. For a more personal experience, reserve a spot for your family on one of the museum’s themed guided gallery tours. These tours occur on the weekends and all ages are allowed. Cost to attend the museum is $10 for adults, $5 for children aged 6-12, and free for those five and under. The museum is open Tuesday through Sunday. One of the many noteworthy properties in Miami, Deering Estate is one you shouldn’t miss. Built in the 1920s, this estate turned museum is known for its picturesque grounds, prohibition-era wine cellar, and collection of prehistoric fossils. You and, your family can enjoy some of the several activities offered by Deering Estate, including canoe tours, bike rentals, and seasonal nature walks to discover the estate’s resident wildlife. Specialty tours, such as historic ghost tours, are also available by reservation. You cannot visit Miami without a stop in South Beach. While this area may be known for its nightlife, it is also a great place for the kids to enjoy during the day. Lincoln Road is a must-do while visiting this famous neighborhood. This mile-long road is home to boutiques, book shops, and awesome restaurants that will keep the whole family happy. Bring your swimsuits and enjoy a few hours at the world-famous beach. Food trucks are always close by, and if your children need a break from the beach, visit one of the nearby parks!